How Far is Sarvamangall Chandrodhya? 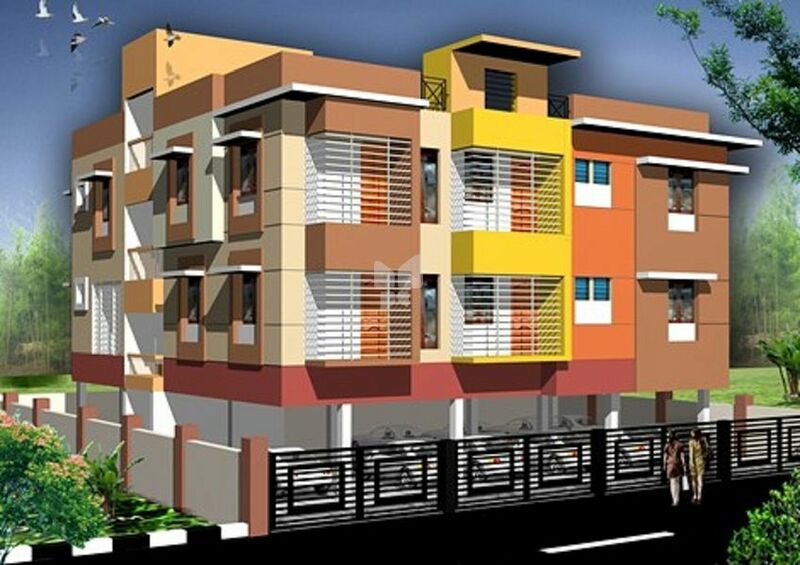 Sarvamangall Chandrodhya is one of the popular residential developments in Chennai. It is among the Completed project of its builder. It has lavish yet thoughtfully designed residences. 9”tk walls in Brick work with cement mortar 1:5. 4 ½”tk partition walls in Brick work with cement mortar 1:3. Reinforced cement concrete framed structures. Reinforced cement concrete waist slab. Brick masonry steps fitted with mild steel hand railing. R.C.C. 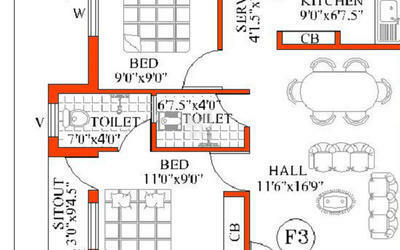 Lofts of 2’ 0” width in kitchen and one in each bed rooms. R.C.C. Slab for 2’ width top finished with Granite Slab. Glazed tiles cladding for 2’ height above kitchen platform. Kitchen sink in stainless steel. Open rack shelves with Granite slabs one in each bed room and one in kitchen. Flooring in all rooms with Virtrified tiles with skirting. Toilet walls ceramic tiles upto 6’ ht and flooring ceramic tiles. Concealed wiring with provision for TV, Fridge, Grinder, Geyzer,Mixie, Fan, Light points and one A.C. point. All wiring using PVC conduit pipes and Finolex wires. All switches shall be MK brand / equivalent. Main doors using quality Indian teak wood fitted with mortice lock brass tower bolts and hinges. Other doors in country wood frames and solid core flush type shutters with iron oxidized / stainless steel hinges and tower bolts. Windows in country wood and glazed shutters or UPVC windows with ornamental grills and fitted with iron oxidized / stainless steel hinges.Safety grill for outside doors. Indian type water closet one in each toilet. European type water closet in parry ware white in colour for anyone toilet.Concealed water lines inside the kitchen and toilets.Quality PVC pipes for sewage / drainage connections. All fittings shall be of Chromium plated fittings, Parryware Brand or equivalent. Two wash basins shall be provided white in colour. Premium emulsion for two coats over a coat of primer for inside walls & ceiling with full putty. Apex for two coats over a coat of primer for outside walls. Enamel paint for wood works and grills. Ground water through 6’’dia bore well with 1.0 HP Jet Pump / Sump provision. Concrete over head tank for water supply.